The City of San José in collaboration with the San José Police Officers Association (SJPOA) and San José Police Foundation (SJPF) is creating a permanent memorial to honor its fallen Police Officers. Please join the SJPF and the SJPOA in supporting this project. Together, with your help, we can reach the project’s budget of $450,000. 100% of all contributions will directly support the creation and maintenance of the memorial. Thirteen officers have sacrificed their lives to protect the citizens of San José since 1924, two of them within the past three years. These tragic deaths have brought grief to their families, fellow officers and the community at large. There will now be a beautiful memorial in tribute to those who made the ultimate sacrifice. 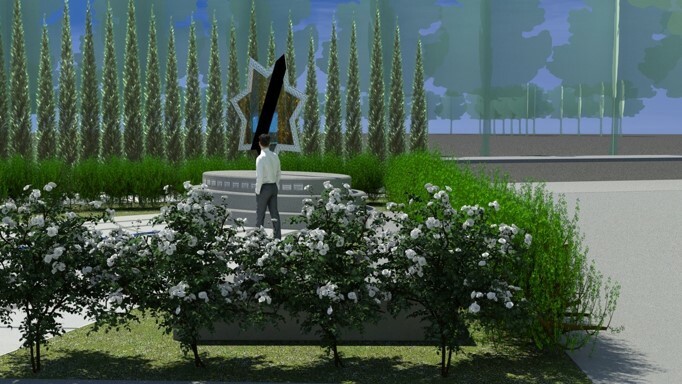 The End of Watch Memorial will be located near the public entrance of the City of San José’s Police Administration Building and will be an inviting destination for remembrance and reflection. 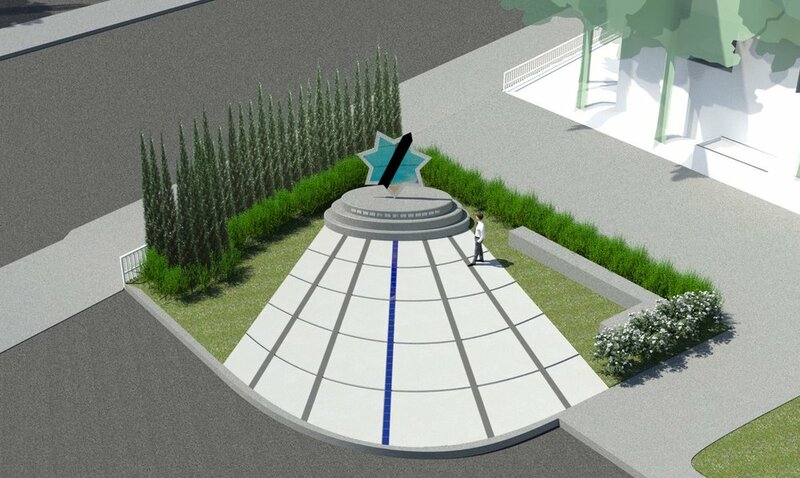 Artist Gordon Huether’s design for the memorial is in the form of a seven-pointed police badge, with a black band angled across it. This symbol is a powerful expression used by San José Police Officers to mourn the loss of an officer. Made of specialized dichroic glass which has captivating, translucent properties causing it to change colors when viewed at different angles, the badge will also capture and reflect light and colors, and cast richly-hued light patterns on nearby surfaces. The dichroic glass badge will be encased in a stainless steel frame etched with filigree patterns to further reference its character as a badge. Each fallen officer will be recognized on an individual metal plaque installed around the base of the memorial. A concrete plaza in front of the memorial will include a linear inset of blue glass to reference “the thin blue line,” a classic symbol of the role of law enforcement as the protectors of order and safety in the community. The surrounding area, conceptualized by the artist as a “meditation garden,” will include benches and landscaping to enhance the memorial and the experience of those who visit it. Lighting will enhance the presence of the memorial at night.